A bride is the main attraction in any wedding ceremony. Everybody wishes to take a glimpse of the beautiful bride during the wedding function. While the guests enjoy and have fun during wedding functions, the bride is under constant pressure to look good because that is the demand for her big day. She also wants to look her best at the wedding because this is the day for which she had been planning and preparing for the last couple of months. The selection of bridal dress, bridal footwear, jewelry and other things are made much in advance so that the bride can take a sigh of relief that all work has been done carefully. But is that all? No! One of the most important things required by any bride is the bridal makeup. Any bride feels almost incomplete without a perfect bridal makeup. Just as weddings happen once in a lifetime, the bridal makeup is also done once only! So every bride has the right to get the perfect bridal makeup. Understanding the significance of the same, we are sharing 10 pieces of advice for bridal makeup in this article so every bride can take help from the same! Make a wish list for all that you want in your bridal makeup – Many women commit the mistake of going for the bridal makeup directly without having any sort of planning or wish list in their mind. This is not at all a wise step to take for any would-be bride. Every woman who is looking forward to her own wedding should have a clear picture of her bridal makeup in mind. She should know in advance that what she wants in her bridal makeup. From the color of foundation to the blush on cheeks and from the type of eyeliner pattern to the makeup of eyes, the future bride should know all her demands. Thus, we advise all would be brides to prepare a list of their own. This list will be a detailed account of bridal makeup desires that a woman wishes to see and get in her bridal makeup. Having such a list will not leave you blank when the beautician asks you that what you want in your bridal makeup. To prepare such a list, you should first jot down your own priorities. 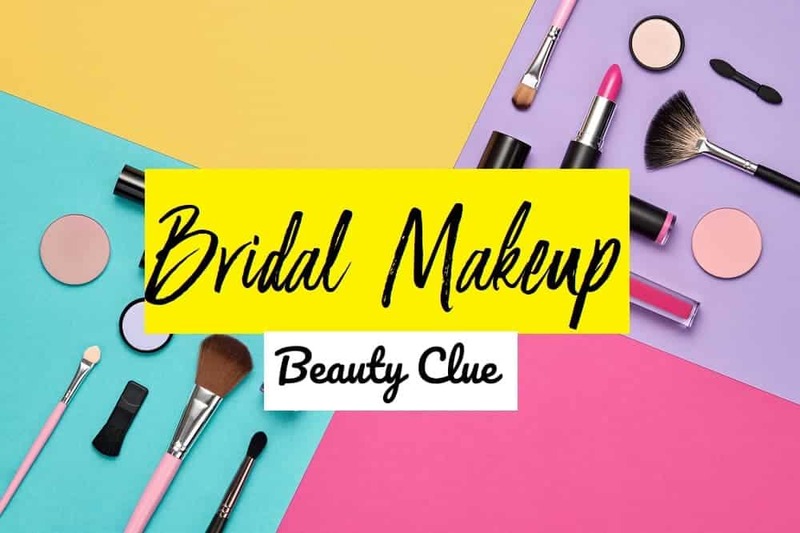 Then you should check out some bridal makeup video and bridal makeup images so that you get reminded of few things that have been left by you if any! You can find numerous videos on Indian bridal makeup, Christian bridal makeup, and natural bridal makeup and so on. Choose and watch the ones that match your priority. Choose an expert – Once you are ready with your bridal makeup list, it is now time to ponder upon the point of getting the right bridal makeup artist. Remember, it is your wedding day –the big day for which you had been waiting for years! Hence, you cannot take the chance of getting your bridal makeup done by an amateur. You need to take help of a professional person. The expert beautician or bridal makeup artist should have a detailed portfolio of his/her work. The expert should have extensive experience in doing bridal makeup. Checking the portfolio of bridal makeup work will give you a fair idea about the work performance of the professional beauty expert. To get a perfect and accomplished beauty expert, you can take help of a few simple tips from famous fabulive.com online tutors. Go for a trial – The bride cannot take any sort of risk for her makeup. Even after taking all types of precautions in makeup, there are faint, but possible chances of getting bridal makeup look that you did not expect. Therefore, we recommend any bride to take a trial of bridal makeup at least a month before. This rehearsal or trial of bridal makeup will include everything from bridal eye makeup to bridal face makeup and anything else. In short, the trial of bridal makeup will give you the perfect idea of how you would look on your wedding. In addition to this, it is worth saying that getting this trial a month prior to your wedding is essential so that, in case, you do not like the bridal makeup results, you can search for other options. On the other hand, if you get expected and successful results in your rehearsal of bridal makeup, you would be hundred percent confident about your looks on the wedding day. Both ways, the rehearsal session of bridal makeup will be extremely beneficial for any bride. Hence, do not forget to try the bridal makeup beforehand! Get some tasks done before the big day – Be it the Indian bridal makeup, the Pakistani bridal makeup or the bridal makeup from some other corner of the world, there are few tasks that have to be accomplished before your grand wedding day. For example, a bridal facial plays an important role in any bridal makeup. You can get the facial done a day before your wedding. This will not only save your time on the wedding day but will also ease your task of makeup the next day. Similarly, you can get a full body waxing, body massage, hair spa and skin beauty treatments much prior to your wedding day. So make a list of such tasks and start getting them done. Just leave the bridal makeup for your special day. Avoid problematic products/techniques – It is strongly recommended that you do not try any new beauty product or technique on your wedding day exactly. This can be highly risky. Each one of us has got a different skin type and texture. We never know how our skin would react to the new product or technique. Hence, it is better to try only those methods that you have been using in the past. If you have plans for trying something new, it is better to try it almost two-three months prior to your wedding day. The above advice will help you stay safe, happy and content with your bridal makeup.